Formerly titled The Best of "Brakes": An Activity Books for Kids with ADD, this activity book contains games, activities, and resources to help make life more manageable and fun for kids with ADHD. In its pages kids will find practical advice from teachers, counselors, and other kids just like themselves for increasing success in school, making and keeping friends, understanding feelings, and dealing with siblings and parents. In addition to providing assessment tests practical information on treatment options, Lawlis explores the role of nutrition in treating the disorder, the positive effects of counseling and goal setting, and more. Homework time can be an ordeal for children with AD/HD. After a long day at school, the child often struggles to concentrate and becomes restless, and the parent is left feeling helpless. With the right strategies, homework can be made a more tolerable and even enjoyable experience for both parent and child. This is a book filled with inspiring methods to motivate children with AD/HD at homework time. Common techniques such as enforcing restrictions and rigid timing techniques can stifle the joy of learning. This book focuses on empowering and enabling the child, acknowledges the characteristics of AD/HD and engages the positive side of these traits. Encouraging movement and creativity, the chapters are brimming with great ideas such as scavenger hunts, singing spelling games and jumping math quizzes that hold the child's attention and make learning fun. By adopting these simple strategies into the daily routine of a child with AD/HD, parents and teachers can take the tears and tantrums out of homework time and pave the way for academic success. From an early age, actor Chesner knew that if he learned how to manage the difficulties of ADHD and harness its awesome powers, he would help other \"special brains\" by sharing this knowledge in a book to slay all other books. 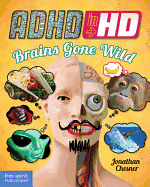 \"ADHD in HD\" is inspiring, upbeat, and fun and gives the unique perspective that ADHD isn\'t all bad--it can actually be a blessing in disguise. Over forty simple and short activities in this workbook help children with ADHD build confidence and manage their symptoms in order to get along better with others and handle everyday tasks such as getting ready for school. Children can do one activity each day, by themselves or with the help of a parent, to develop new lifetime skills for managing ADHD symptoms and related issues. The book includes age-appropriate information on medication, the importance of sleep and diet, and asking for help from adults when it's needed. Parents can use these effective activities to help guide children with ADHD through the process of learning to manage their behavior. Ways to work with ADD at home, work and school. Demonstrates that ADD can be associated with creativity, high achievement, and a most successful adaptive style. Meet Maddie. She sometimes forgets her homework, and she daydreams in class. She's smart and helpful. She doesn't bother other kids and she never ever gets into trouble! So, could she really have AD/HD? And so much more! So get reading and soon you'll get back to the business of being you. Children with ADD don't have to go it alone -- help is on the way! That's the message of this warm, reassuring book. 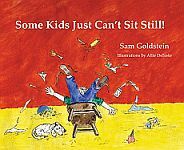 It describes how children might experience the symptoms of ADD, using simple and upbeat language and cheerful, vibrant illustrations that move the text dynamically along. The book tells them how they can cope with it, and what kind of help is available. An extensive resource guide for parents and guardians outlines the symptoms and diagnosis of attention deficit disorders, provides suggestions for living with ADD children, and touches on the use of medications, play therapy, occupational therapy, and tutors. The completely updated and expanded new edition of this well-established text incorporates DSM-5 changes as well as other new developments. The all-in-one guide covers the whole range of often co-existing neuro-behavioral disorders in children from attention deficit hyperactivity disorder (ADHD), obsessive-compulsive disorder, and anxiety, to autism spectrum disorders, nonverbal learning disabilities, Tourette's, sensory integration problems, and executive dysfunction. Everyday you are learning all kinds of new skills and one that helps you get along better with other people is empathy - understanding how other people think and feel. Having empathy lets you see different points of view, understand that everyone shows their feelings differently. This book also helps you to pay attention to your feelings and learn the connection between thoughts and feelings. This book is meant to be used by kids with parents or other caring adults. It includes a note and additional resources that adults might find especially helpful. And much more! Learning to Feel Good and Stay Cool also includes a note and resources for parents. When you are good at planning and organizing, your day just runs smoother. And guess what? These skills can help you reach your goals, too! Packed with examples, activities, and fun, this workbook will help you: build good habits; develop routines; organize your stuff; get things done; manage your time; plan projects; create reminders for yourself; and much more! This book also includes a note and additional resources for parents. This updated edition of this kid-centered book on ADHD written from the child's point of view includes easy-to-read text, fun cartoons, and activities, as well as loads of self-help tips for coping with friends, family. and schoolwork, getting organized, getting disciplined, and getting things done. Illustrations. Used in conjunction with the corresponding client workbook, this therapist guide offers effective treatment strategies that follow an empirically-supported treatment approach. It provides clinicians with effective means of teaching clients skills that have been scientifically tested and shown to help adults cope with ADHD. The step-by-step, session-by-session descriptions are a practical resource for therapists who deliver the treatment to clients with ADHD. Together, the therapist guide and client workbook contain all of the information and materials necessary to delivery this treatment in the context of individual outpatient cognitive behavioural therapy. TreatmentsThatWorkTM represents the gold standard of behavioral healthcare interventions! The intervention described in this client workbook contains all of the necessary information for participating in a practical, tested, and effective cognitive-behavioral intervention for adults with ADHD and residual symptoms not full treated by medications alone. For many years, the fields of Oppositional Defiant Disorder (ODD), Conduct Disorder (CD) and aggressive and antisocial behaviour, have been researched independently of Attention Deficit Hyperactivity Disorder (ADHD) and hyperactive, impulsive and inattentive behaviour. In reality, they often occur simultaneously, and their separation has led to a hampering of our understanding of the two groups. However, the last decade has seen an integration of the research fields, essential for an accurate understanding of these disorders, and information on this topic has grown rapidly. Focusing on children aged 3 to 14 years, this book offers a concise and comprehensive overview of empirical knowledge and associated clinical information on ODD and CD; it does so with respect to aetiology, assessment and treatment, and to neurobiological factors in these disorders. In reviewing the literature, the authors pay particular attention to recently published studies and meta-analyses, without neglecting older high quality studies. Written as a guide for professionals, this book is useful as a succinct overview of the field for both students and researchers; it is also of value to advanced researchers, offering essential information on topics which may not be their primary focus of interest and expertise. Living with ADD/ADHD can be hectic, and parenting a child with this disorder can feel like an uphill struggle when even the simplest of tasks causes havoc. This book addresses the issues of organization and time management in relation to ADD/ADHD, suggesting practical ways of organizing your child's day and turning chaos into calm. Accommodating short attention spans and short fuses, shows how, by using the F.I.R.S.T method (Fun, Individualism, Rules, Simplicity and Time management), even the most hyperactive and easily distracted of children can be taught to make their bed, pack their school bag, and generally get organized! The author recognizes that children hate anything that is boring, and finds fun ways around even the most mundane of tasks. Her no-nonsense, step-by-step strategies, in combination with positive affirmations and realistic demands, will get ADD/ADHD children organized, and from A to B without a hitch. Drawing from his experiences in evaluating and treating over 10,000 children and teens with ADHD, Dr. Monastra presents a series of ten "lessons" that are essential for promoting the success of kids with ADHD. Includes medical, nutritional, educational, and psychological information in a format usably by parents, K-12 teachers and school adminstrator professionals, and health care professionals. Now in its 20th year of publication, Putting on the Brakes remains the essential go-to resource for kids, parents, and professionals looking for tips and techniques on managing attention disorders. This third edition is updated and revised throughout with the latest info, resources, medication types, and glossary terms on ADHD. Written by two nationally recognized ADHD experts, Putting on the Brakes is loaded with practical ways to improve organizational, focusing, studying, and homework skills and contains more strategies for making friends, controlling emotions, and being healthy. This book gives kids with ADHD the tools for success in and out of school and helps them to feel empowered to be the best they can be! The activities are comprehensive and cover practically every area in a kid�s life that AD/HD can affect: school (homework, test-taking, planning for projects, time management, making friends, proofreading, etc. ); home (organizing, taking medication, doing things step-by-step); behavior and emotion control/regulation (anger management, conflict resolution, learning from mistakes, relaxation techniques, etc. ); health and nutrition (healthy foods, exercise, getting outside/green space, etc. ); and self-awareness/self-esteem (strengths & weaknesses, making friends, etc). Unlocking the potential of your ADD child. Freed, who works exclusively with ADD and gifted children, has developed a simple, easy-to-apply program that works with the special abilities of the ADD child. Including a Ten-Minute-a-Day program for parents and children. Gives parents practical strategies for defining each child's personality in positive terms, and shows how to help children with AD/HD become responsible for their actions, overcome unacceptable behaviour, and take control of heir lives. Considers aspcets such as treatment of AD/HD, life at home in a range of settings, discipline, oppositional defiance, success in school, advocating for a student with AD/HD, and parenting tips such as love, choice, problem solving, and the peace of acceptance. Decodes the often confusing rules of social behavior for all children Socially ADDept helps educators and parents teach the hidden rules of social behavior to children with limited social skills, notably those with special needs like ADHD, learning disabilities, Asperger's and high-functioning autism, Tourette Syndrome, and nonverbal learning disabilities. The author provides all the information parents and professionals need to know to help kids learn social skills in simple, concise explanations. The book is divided into eight sections that educators can use as teaching units or parents can work through one week (or month) at a time. Includes a way for children to see themselves and how their behavior looks to others. Deciphers the complex rules of nonverbal language into friendly, bite-sized morsels that kids can understand. Offers a field-tested collection of suggestions and strategies for parents and professionals who want to enhance a child's social competence. Socially ADDept is presented in a hands-on workbook format, complete with reproducible student worksheets that are also available for free download from the publisher web site. Written in a Seussian style, this delightful story explains why children suffering from attention deficit/hyperactivity disorder (ADHD) react differently to simple situations in their daily lives. Explaining the symptoms of ADHD in an entertaining way, this tale helps children understand their differences, accept treatment, and retain positive self-esteem. Parents, teachers, and doctors will welcome this dialogue concerning how they can help children with ADHD. This practical, hands-on guide offers teachers proven strategies that can be easily implemented in the classroom to boost learning for teenagers with ADHD. Filled with research-based interventions for teaching the core content areas: English/language arts, math, science, and social studies. These tested methods help students to interact with the content in a variety of media including speaking, writing, drawing, and movement. The strategies provided here are designed to seamlessly blend into core content instruction and can be used across all content areas. 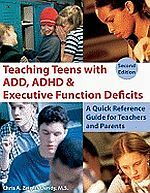 provides insight into the biological and neurological components of ADHD and shows how the disorder manifests in teens academically, socially, and behaviorally. The book identifies the markers of ADHD in both girls and boys, and explains targeted accommodations that can help them achieve success both inside and outside the classroom. While the book offers information that highlights working with ADHD students, the strategies and techniques offered in this book can be used to help all students succeed. Features practical strategies for helping children and teens develop essential life skills at home, school, or in a support group setting. Copyright © 2019, Peoplemaking. Page dynamically created on April 20th, 2019, in 0.008 secs.